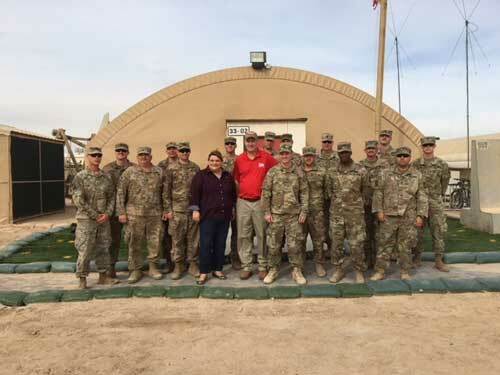 Rep. Trent Kelly serves Thanksgiving meal to troops in Kuwait. 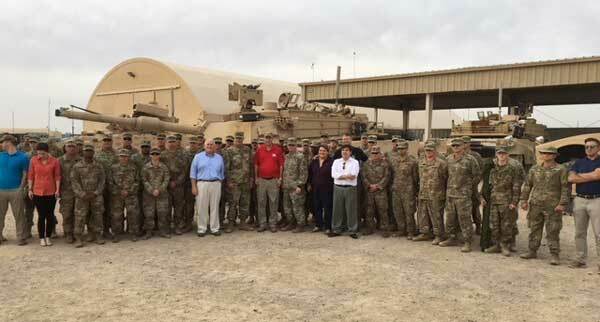 Camp Buehring, Kuwait – Congressman Trent Kelly (MS-01) led a bipartisan delegation to the Middle East where members served Thanksgiving Day lunch to service men and women who are stationed at Camp Buehring, Kuwait. 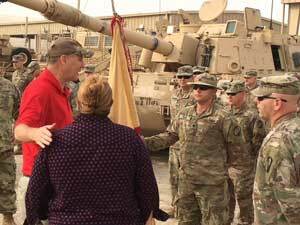 More than 4,000 members of the 155th Armored Brigade Combat Team, Mississippi National Guard, deployed seven months ago in support of Operation Spartan Shield. Trent Kelly leads bipartisan delegation in showing appreciation for soldiers’ service to the country. Trent Kelly honors soldiers’ service on Thanksgiving trip to Kuwait. U.S. Rep. Trent Kelly speaking with soldiers in Kuwait. Congressman Trent Kelly represents Mississippi’s First Congressional District. He serves on the House Armed Services Committee, the House Committee on Agriculture, and he is the Chairman of the Subcommittee on Investigations, Oversight, and Regulations. This is his second term. Mississippi healthcare: What were they thinking? It's time to "get real" about healthcare in Mississippi...and in America.